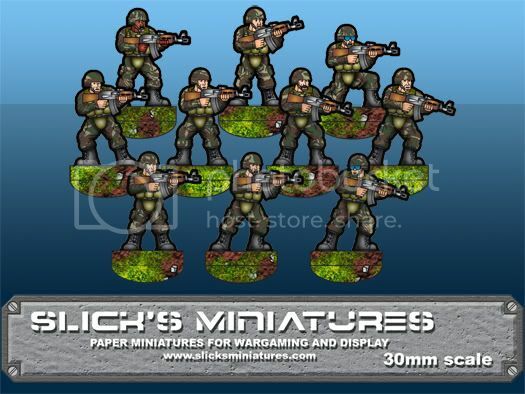 Jim has given me permission to list my releases in my boards here in his forums as well as on my site so here is my first set of modern troops with assault rifles. This is the first of 4 sets with assault rifles. you get 10 figure poses, 16 color options and 2 weapons. I have around 50 different guns that I have vectored up so look forward to some more modern figures with a nice assortment of weapons. These are very nice and I think they could compliment Jim's Terra Force quite well--for some reason, I always think in terms of mix & match. DUDE! I can't begin to thank you enough. Love 'em. Looking forward to the other three sets! Any hints for the next release? Here is the next set. Now that I think I have a method down for swapping out the weapons the next two sets should come easily. Slick, they are very beautiful. ... anyway, seems to me that the "crotch protection" (sorry, i don't have better words) stands up too much: it is "clear", shining (as it have some higlight on it) and surrounded by a darker area... it even seems to cast shadows to the thighs. Being in the center of the figure, it is the first thing that hits my eyes, taling out the "attention" from the weapon or the face. If you plan some new draw, i'd tone it down a bit, and instead making the weapon and right arm contour a bit more thick, maybe also casting shadow on the belly part: this should "raise" the arm and the rifle. This all is just to be constructive. 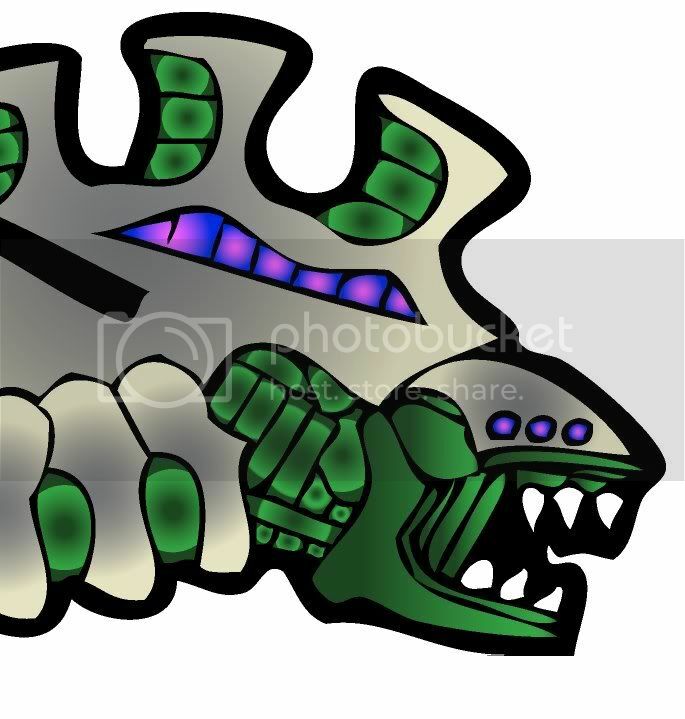 I have just added a black line around the weapons and right arm, on a 50% transparent layer, and a blob of camo green to make that thing less bright. Awesome Job on the modifications. I think its the image and camo I chose that makes the groin armor stand out a little but with offering 16 colors there is always going to be one or two that look wonkie. The reason I picked that was for the pattern (its close to a Russian camo pattern) and it fit with the eastern weapons. As to a shadow under the weapon arm. I had one but several of my weapons are bullpup and when the mag hung into the shadow it just made the figures look weird. Here is a link to a poll over on my forum. I'd like input on to what gun you would like to see in set #4.